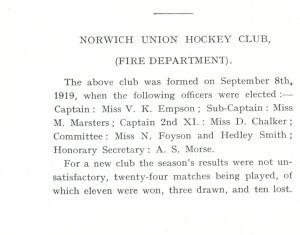 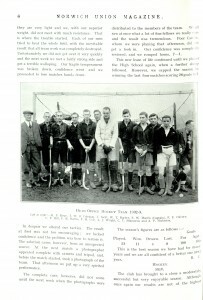 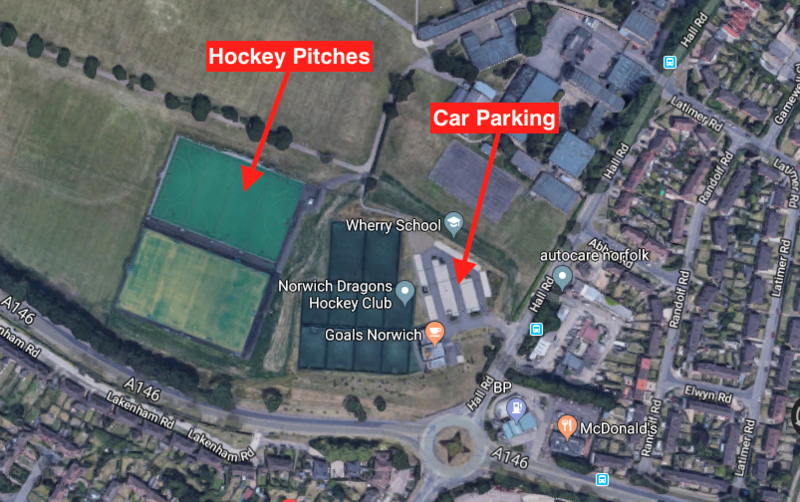 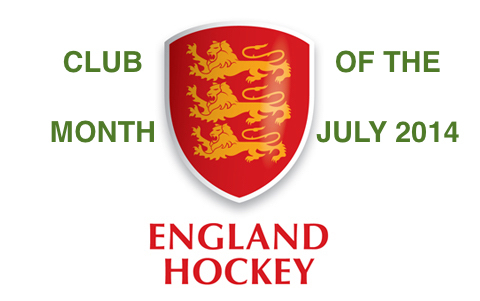 The first records found for the hockey club are captured in the Norwich Union Staff Magazine of Spring 1920 that makes reference to the formation of Norwich Union Hockey Club (Fire Department) on September 8th 1919. 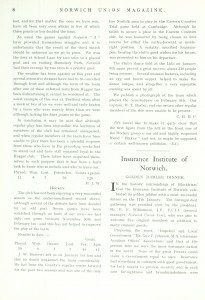 This appears to be a record of the formation of the ladies club, with the first records of the men’s club being for the 1920-21 season with Secretaries G.G.Melton and F.C.Laws and First XI Captains being R.P.Rowe and F.C.Laws. 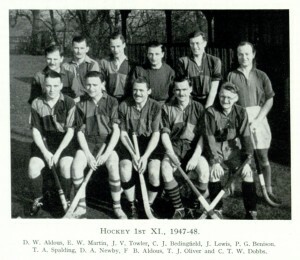 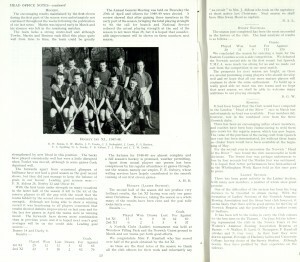 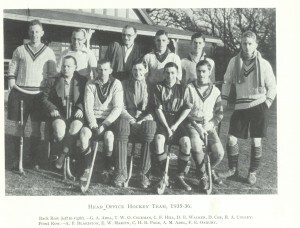 The team photo from the 1932-33 season shown later on this page includes a suited R.P.Rowe, clearly someone responsible for the founding of the Men’s Club. 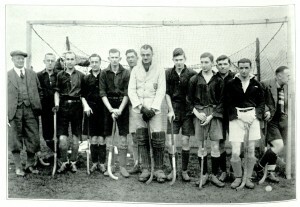 ‘Blakey’ as he was known (Mr Blackiston – Winston Churchill look-a-like) was still wearing his overcoat in the 1935-36 Team Photo shown below, the team were photographed before an 8th February 1936 match against Grasshoppers. 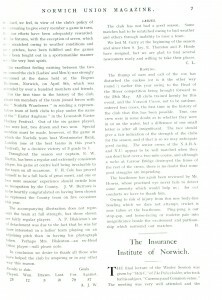 The article from the Lady Day Edition of the Norwich Union Staff Magazine from 1936 is shown below, not a good season on the hockey pitch, however the Dance at the Lido was a great success in January with the egg and bacon supper going down very well!! 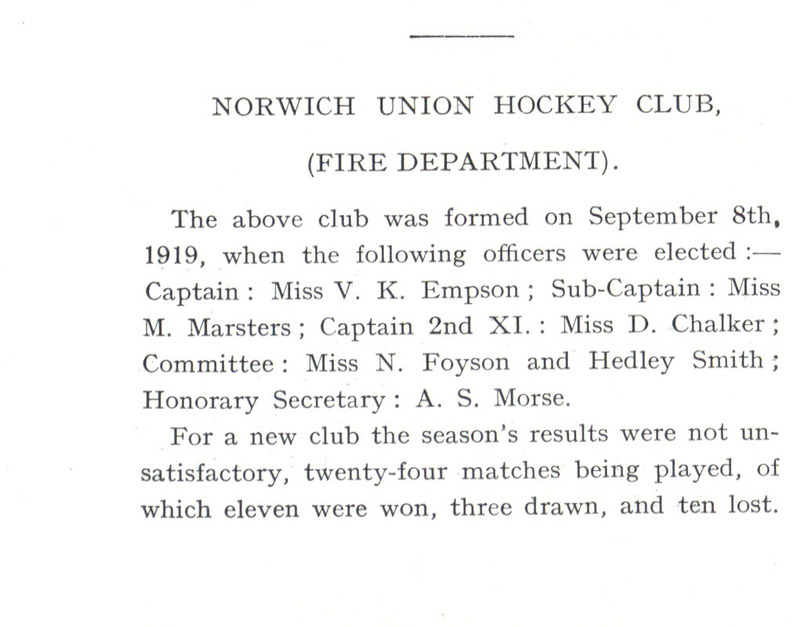 By the time we get to 1948, National Service is impacting availability of players and on the ladies side, Mrs J Aldous was standing down as Ladies 1s captain to be succeeded by Miss Gwen Hood.